With the first few weeks of 2019 in the books, you’ve had enough time to review your finances for a better idea of where things stand. As you look at your debt, more specifically that related to credit cards, it’s important to answer a variety of questions. For example, do you have a plan in place for reducing or eliminating your debt in the new year? If you have credit card debt spread across multiple cards, there’s a simple solution to your problem: a balance transfer credit card. This gives you the power to consolidate some or all of your credit card debt, thus saving you money on interest and making it easier to manage your balance. What are the best balance transfer credit cards of 2019? How much debt do you have, and are you interested in transferring it all onto the same credit card? What features are most important to you in a balance transfer credit card? 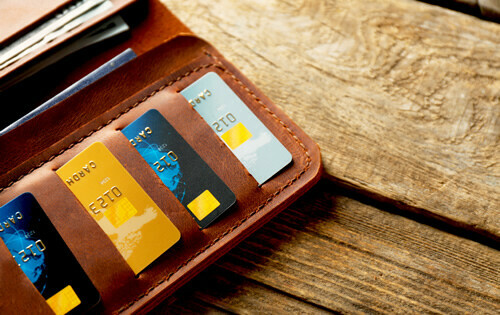 Do you have a plan in place to avoid adding more debt to your credit card? Your past experiences and knowledge of the credit card industry have a lot to say about how long it will take you to answer these questions. Even if you have to dig around for answers, don’t be shy about doing so. It’s better to know exactly where you stand, as opposed to hoping for the best. You have the opportunity to make 2019 the best year ever in regards to your finances. Maybe you consider a balance transfer credit card right now. Or maybe you look into this at some point down the road. Either way, it could be the best strategy for making your credit card debt easier to manage. Do you have any experience with a balance transfer credit card? Were you happy with the end result?